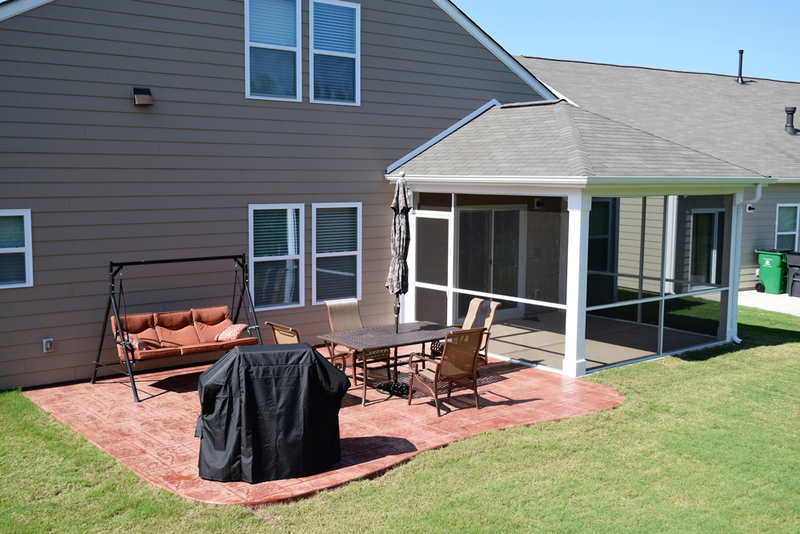 Another screen porch/stamped concrete patio finished. This project is located in Charlotte and the client was looking for some shade and functional outdoor living area. 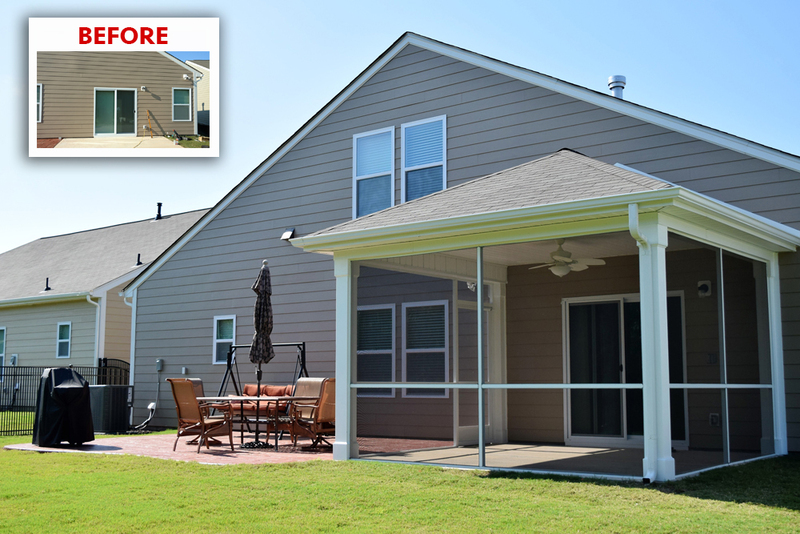 JAG Construction created a screen porch on the existing concrete patio and extended the patio with all new stamped concrete with the pattern and color of the client’s choice. 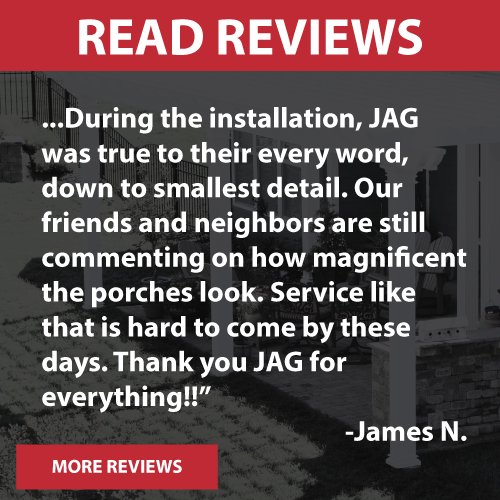 JAG’s crews tied everything into the existing house, matched all the exterior trim, included chunky posts and screened it in for a sun free living area finished off with a ceiling fan to help move that hot summer air. 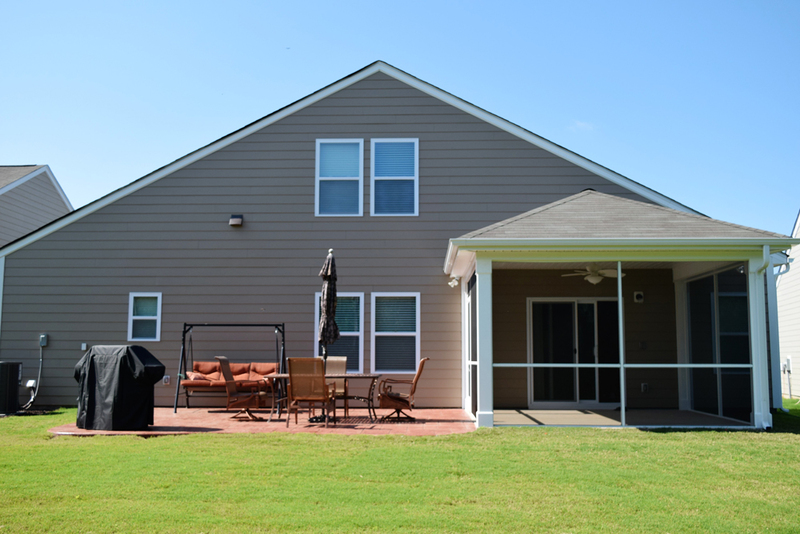 JAG also added the stamped concrete patio for the client’s grill and outdoor dining area.